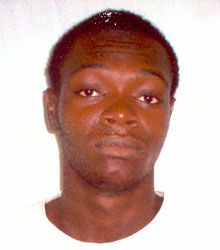 Moses, who escaped custody on Monday, November 21, was shot and killed by police Sunday, December 11. He had been on remand, having been charged with the murder of Steveon Springer of Layou which took place on December 9, 2010. It is believed that Moses may be in some way involved in the murder of dental technician Ewart âEllsâ King, who was stabbed and shot three times by an assailant at his home at Pembroke on Sunday, December 4. The belief that Moses may have been involved in Ells murder is based on the fact that a firearm which was owned by Ells was retrieved from the van in which Moses was traveling. Speaking in Parliament on Tuesday, Prime Minister Dr. Ralph Gonsavles commended members of the police for the work done, but said that he was not going to comment any further on the matter. âThe police will be carrying out investigations, because quite naturally you donât close an investigation on one piece of evidence,â the prime minister said. He added that a coronerâs inquest in the death of both King and Moses will be conducted and the evidence presented, and if a determination was made that anybody else was involved in Kingâs murder, then further judicial proceedings will follow. âSo there is much information still for us to know publicly,â Gonsalves explained.